We're always looking for new ways to reward our freelancers for working through us. It's a key part of the PeoplePerHour philosophy to make it as simple as possible for our freelancers to collaborate with new, and repeat clients. So, here’s some more great news! 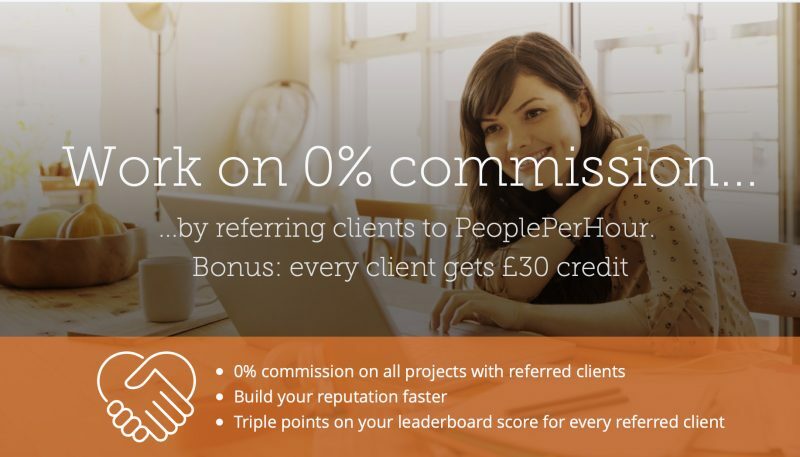 Did you know, when you sign up to work as a freelancer with PeoplePerHour, you can refer your existing clients and work together on 0% commission, while enjoying our full range of platform benefits? What’s more, every client you refer will receive a £30 credit! Ready to get started? It’s as easy as 1-2-3!